Nimble enables Office 365 subscribers to send Group Messages and Import Contacts from their Office 365 account via the REST API. Step 1: To get started, visit your Settings >> Networks & Imports page and locate the "Office 365 Contacts & Group Messages" option within the Quick Connect center towards the top of the page. Step 2: A pop-up window will display giving you the option to sign into an existing Office 365 account. Choose which account you would like to sign into or click "Use another account." Step 3: Enter your credentials for your Office 365 email account in the pop-up window and confirm the connection. 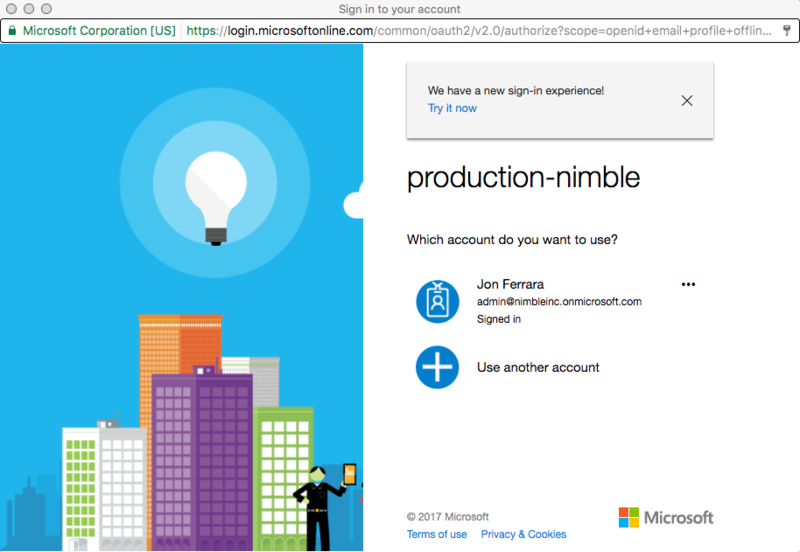 After signing in, your Office 365 account will be synced to Nimble. To add your contacts, simply click "Import Contacts" to start the import process.